I used to work for a well-known big box retailer, and we had an “office” cat. She mostly hung out up at the service desk, and for the Saturday morning kids build, we even made her a little apron, which she graciously consented to wear. Her name was Victoria (don’t ask) and she just showed up one day outside of the loading docks, hungry and pitiful looking. We took her in, gave her a place to stay at the phone center, and everyone at the store chipped in cash for her vet visits and food, and on Sunday nights, the only day the store wasn’t staffed 24 hours and the alarms went on, someone would volunteer to take her home for the night. She was well loved, and learned a lot about installing a ceiling fan. 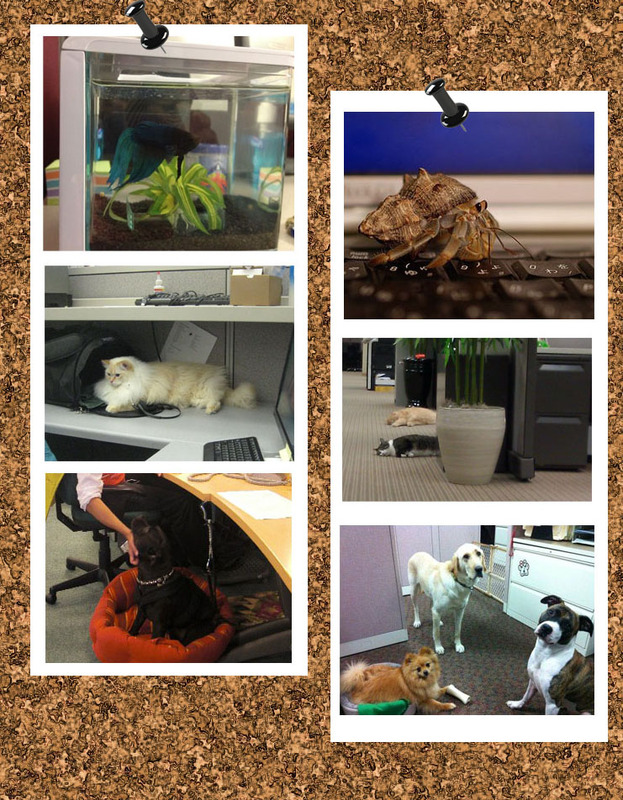 If you happen to work in a pet-loving office, and no one has major allergies to critters (this includes mind-numbing phobias, which means no spiders!) see if you can at least bring in your own darling dog-cat-hamster-spiny jungle squirrel and have a little fun for the day! Previous Post The good ol’ days…recess! Next Post Do I really have to start my collection over? ?